3. Degree along with Mark Statements/Marksheets pertaining to all the academic years/semesters in support of your Educational Qualifications as per the Advertisement No. 02/2014 (Item No. 09, Vacancy No. 14020209108). (In case Degree is yet to be conferred upon you, then provisional Degree/certificate along with marks st atements pertaining to all the academic years should be furnished as proof of educational qualifications. 7. An Affidavit if there is difference in either name /father’s name or spelling of name/father’s name in all the Certificates with reference to Online Recruitment Application (ORA). Important: Originals of the above certificates are required to be produced at the time of interview. You are requested to furnish the self attested photocopies of the above documents/certificates alongwith Online Recruitment Application (ORA), mentioning Roll Number on each documents/certificates, by Hand/Speed Post to the Under Secretary (SPC-I), Room No. 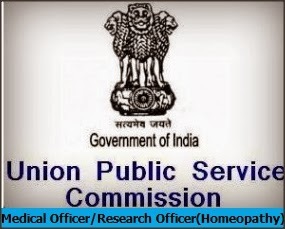 3, UPSC, Shahjahan Road, New Delhi-69 within 15 days or in any case not later than 18.06.2014 . Date & time of Interview for the above posts will be intimated later on through e-mail. Compulsorily pass Urdu for AYUSH in Karnataka!